This Changi Airport Hackathon was organized by UP Singapore and the competition lasted around 24 hours excluding the pre-workshop. Before the event started, there was a pre-hackathon workshop where the organizer will introduce the background challenges to tell us about the key challenges which Changi Airport encountered. 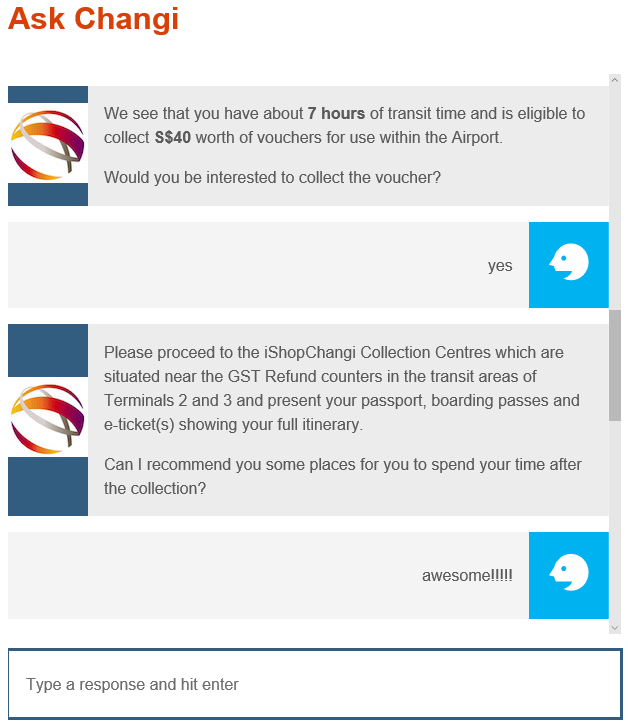 From there you get to know the key problems and opportunities which you might be able to collaborate with Changi Airport in future if your project seems to be feasible for them. It is also the time to find the suitable members to join as a team for the hackathon. Following that after a few days, there is Ideation Workshop where the exercises will help you to share observation participate in the discussion and your ideas to share with them. This will be the final opportunity to form / join a team for the hackathon. On Day 1 of the hackathon, this is where your solution started and start coding. There is also consultants around to advise you if your idea/prototype. For my team, we were thinking about experiencing and enhancing the capabilities of engaging the customer better by introducing an interactive concierge using IBM Watson Dialog. 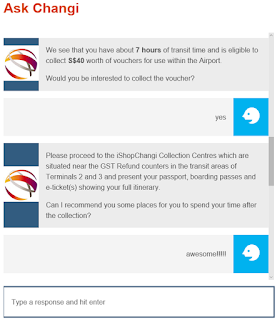 Something like Cortana built into i-Changi App helping to answer any queries and suggesting ways to spend their time at the airport. On Day 2 is where you do your final touchup and ready for your final presentation. There will be presentation clinics which will help to refine your presentation. It will be judged by the top level management from Changi Airport Group and the result will be disclosed on that day. I am glad that team won the 3rd prize despite we were really rushing to get the app running up and meet the minimum baseline objective. This is what I learned from my first hackathon. Preparation - This one I guess everyone should know. Things what to bring for that day. Don't forget your jacket! You will be staying the whole day in a room and it might be freezing for you. Decided for an idea - The time you step into the place on day 1, you should have a glimpse of an idea how your final idea and end product should look like. Communication - Your team should have agree on what to work and how should it be done. Keep the scope small - We know that every ideas are great to have but the most important thing is that can it be delivered within timeframe? Are the deliverables to big to cover? Especially for events like hackathon, your team cannot afford to make any mistake in the later part and discovered it is impossible to finish. there is no such thing as plan B here. Know what to use for your tools - I admit I wasn't prepare for this event as my software was not ready when the day starts. I loss some of the hours to get everything done and get started. Bring your tumbler or water bottle - as most hackathons was held indoor, they usually host in very cold places. You need to remember to bring your jacket and your bottle just in case u need to warm yourself up. Dual monitor - I find out myself by working with 1 monitor really lowered my productivity. If possible invest a portable usb-powered monitor if you can, it helps alot. Would I join another competition again? Yes I would! Though its pretty intense but its also quite challenging and satisfying!